his weekend, the party is at a high-ceilinged warehouse with industrial interiors down OMRa��thanks to the American dance greats, Popina�� Pete and Yoda Jones, who are here to teach styles like popping, locking and waacking. Funk-In India 2015 Dance Camp is a first-of-its-kind initiative put together by city-based dancer Nimbel Funk, in association with MissFit, the dance studio. a�?Pete is one of the originators of the popping stylea��hea��s worked with Michael Jackson, Chris Brown, Justin Timberlake and othersa��and Ia��ve been following his team, The Electric Boogaloos, for years,a�? says Funk, who is also bringing down Jones, a trained Bharatnatyam and Old School dancer. Performers from around the country are expected and one of the highlights will be the dance-off judged by Pete and Jones. 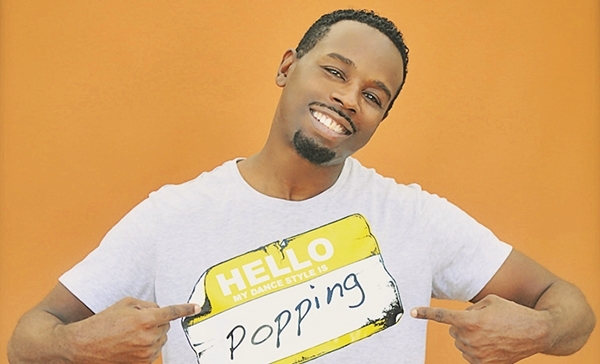 Popping and Boogaloo originated in the USa�� west coast, so they are different from hip-hop. In popping, the technique is about flexing the muscles in your arms,chest and neck and then snapping the knees backa��but doing all this together. Add in your a�?randoma�� movements and it becomes a rhythmic dance style. Boogaloo is smoother, more about a swinging movement with isolation of the hips and legs. The very first time I saw street dancing in India was in 2008, when Yoda and I watched Dance India Dance on YouTube, and she said a�?Pete you gotta go and teach therea��. I really dona��t know a lot of dancers from India and the ones I do, I cana��t pronounce their names. But I do see some good dancers coming up, like Nimbel Funk, who wants to learn everything the original way. Michael Jackson was great to work witha��he was a hard worker and a perfectionist. I remember once I asked him if he always gave his 100 per cent. He said, a�?Pete, I start at 100 per cent.a�? Most artistes Ia��ve worked with like Chris Brown and Justin Timberlake, are perfectionists, too. Being on Soul Train in 1979. It was a dance TV show Ia��d watched for eight years and you had to be the best to be on it. Our first time on it, we didna��t get paid, but it didna��t matter. Artistes youa��re working with. I am too busy being an artiste myself. Ia��m working on me. I will teach the styles that we (The Electric Boogaloos) doa��from the moves to the groove. I will demostrate the original moves I learned when I first started off, and then I will break it down and teach how to do each move correctly. My classes are fun but HARD.